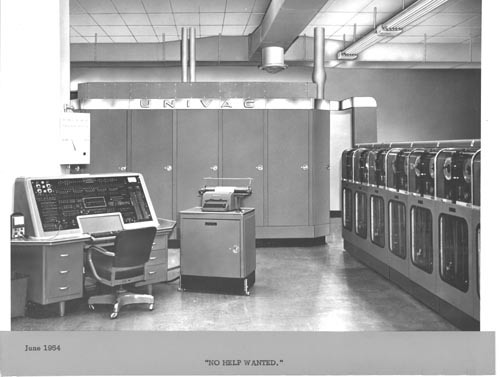 B&W digital image of an early Univac system. On left is the console, in center a typewriter, background has UNIVAC mainframe and on the rightr a row of tape drives. Recto bottom: "No Help Wanted "